The equipment for the new brewery “Karl and Friedrich” was delivered by the well-known Bavarian Caspary GmbH, which is an expert in brewing since 1788. The brewery “Karl and Friedrich” is a classic restaurant brewery. Beer production is located directly in the restaurant and every guest has the opportunity to observe the brewing process. From 2002 to 2011, the brewery “Karl and Friedrich” was equipped with brewing equipment for 500 liters and cylindroconical tanks. In 2012 it was launched a new production with brewing equipment for1000 liters, open fermentation tanks and a camp shop. Bubbles in beer “Guinness” do not rise to the surface and are lowered to the bottom, unlike all other beers. Specially for a royal wedding in Great Britain on April 29, 2011 the “Castle Rock” brewery in Nottingham has launched a new beer under the name “Kiss Me Kate”. Old Vikings believed that in their heaven called Valhalla, there is a giant goat Heidrun, whose udders provided unlimited supply of beer and honey. The mash is made by a traditional decoction mash method on the modern equipment, and fermentation goes on classical Bavarian technology of open fermentation. Modern technology in combination with the best raw materials provides the excellent quality of our products. Sensation in the brewing world! 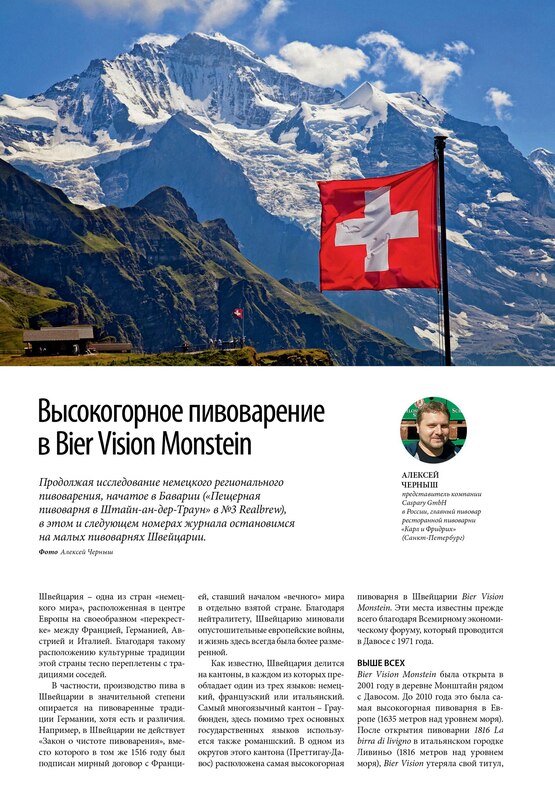 After graduating in 2002 from St. Petersburg State University with a degree in biochemistry, Alexey began his career as a brewer at the first “Karl and Friederich” brewery, worked as an assistant brewer under the direction of German brewers, in years 2004 - 2006 was a senior brewer in the “Karl and Friedrich” restaurant. 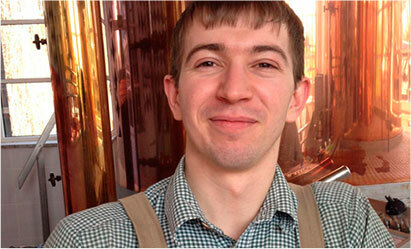 From 2006 to 2012 he worked as a main brewer in one of the Caspary GmbH brewers. 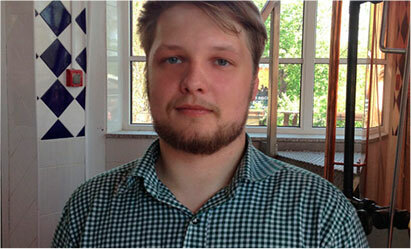 He is the official representative of Caspary GmbH (German brewing equipment manufacturer) in Russia. He enhanced his professional competence in different German breweries. He is the head of the “new brewery” “Karl and Friedrich” since the company`s establishment in 2012. 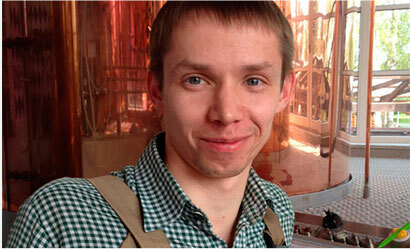 Alexey Chernysh is currently a member of the Petersburg Guild of Brewers in Saint Petersburg. Ivan Shmelev graduated from Novosibirsk State Technical University with a degree in “Process engineer of the equipment for food manufacture”. He worked as an assistant brewer in the brewery “Zoltan” in Novokuznetsk and as a brewer in the brewery “Amadeus” in Novosibirsk. Since April 2015 works in the restaurant “Karl and Friedrich”. Evgenii Zhizhikin graduated from St. Petersburg Technical College of food industry with a degree in “Brewing technician” and ITMO University with a degree in “Fermentation technologist”. Since 2011 works in the brewery “Karl and Friedrich”. Participated in the building of a new brewery in 2012. Dmitrii Alekseev graduated from St. Petersburg Technical College of food industry with a degree in “Brewing technician” and SpbSAU. He began his career in 2004 in the “old brewery” “Karl and Friedrich”, worked as an assistant brewer under the direction of Oliver Shauf. Since 2009 – the senior brewer of the “Karl and Friedrich” brewery. He was doing an internship at the German brewery Turmbrauhaus in Chemnitz.